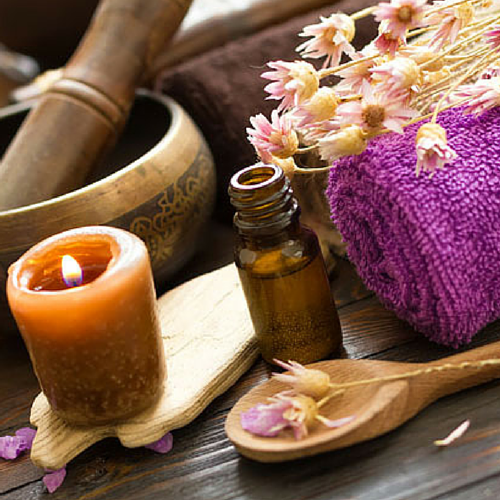 Aromatherapy uses essential oils to alter a persons mind, mood and health. Using extracts from plants, flowers, fruits and resin. Aromatherapy can help with a variety of ailments such as relaxation, stress, anxiety, headaches, relief from minor discomfort, boosts the immune system, depression, insomnia, restores balance, increases energy levels, promotes well being, calms the mind and reduces tension. Treatments can benefit both body and mind as well as up lift the spirit and encourage positive thinking. Chavutti Thirumal is a full body oil massage originating from South India. The massage is given with the soles of the feet, enabling long continuous strokes of controlled pressure from the hands down the arms, torso and legs to the feet. It is a deep massage relaxing the muscles and stimulating the circulatory and immune systems, encouraging free energy flow and flow of the venous blood. It also aids the digestive system, helping the body to eliminate toxins, especially good in conjunction with a detox diet. For the full rejuvenating effect, in India, it is traditional to have this massage on ten consecutive days, though one is also very beneficial. Originating from China, Japan and India, Deep Tissue Massage targets the deep tissue structure of the fascia and muscles. Designed to treat the connective tissue and help with tensions in the body, such as chronic knots, back pain, relieve tension, improve posture, improve blood flow, flexibility, stiff necks and lower back tightness. Deep Tissue massage is similar to classical massage however the pressure is slower and deeper. Esalen Massage is a variation of Swedish Massage that is used as a way for people to feel more comfortable about their bodies. As a combination of massage and bodywork techniques, Esalen Massage works with gentle rocking of the body passive joint exercises and works on the muscles and joints. It can help to improve the immune system, ease anxiety, improve stress levels and to improve body, mind and spirit. 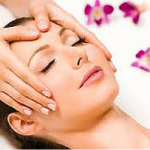 This is a stress reducing head massage that works on the muscular tissues of the neck, shoulders, scalp and face to relax or stimulate the body to assist it to be in a harmonious state. It helps to prevent migraine, sinusitis, eye strain and relieves tension in the neck and shoulders. 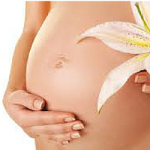 Using one or a combination of appropriate massage techniques suitable during pregnancy. If you attend from early pregnancy you will enjoy these important months more as you will have less aches and pains and feel more relaxed. Shiatsu is a traditional Japanese hands on healing therapy which uses palm and finger pressure. Works on the body’s energy or ‘Qi’ using pathways known as meridians and seeks to improve general well being. It can help with headaches, sports injuries, insomnia, high blood pressure, depression, anxiety, and muscular tension. Shiatsu also helps with understanding breathing patterns, posture and mental attitude. The prime purpose of Sports Massage Therapy is to help alleviate the stress and tension which builds up in the body’s soft tissues during physical activity.´ Above all, it can help to prevent those niggling injuries that so often get in the way of performance and achievement, whether one is an athlete, ardent keep-fitter or a once a week jogger. This treatment is not just for the sports person: anyone can benefit from sports massage, including people in physically demanding jobs and those not quite so obvious (occupational, emotional and postural stress may produce many similar characteristics to sports injuries).